We pray for all those who are going away for their holidays. We bring before You all those who have been affected by delayed flights, bad weather and all other problems preventing them from enjoying their holidays. Father God we pray that You will help them to realize that their true help and protection come only from the Lord, our Creator who made the heavens and the earth. We thank You that you will guard and guide them, never letting them stumble or fall. Help them to know that You are their Keeper; that You will never forget or ignore them, that You never slumber nor sleep; that You are the Guardian-God. We praise and thank You that Jehovah Himself will watch over them; always at their side to shelter them safely in His presence. Thank You Father for protecting them from all danger both day and night, keeping them from every form of evil or calamity as You continually watch over them. Jehovah-Rohi: God my Shepherd cares for all the farmers affected by the drought. He is taking care of very farm and farmer. Jehovah-Jireh: The Lord my Provider is providing for every farmer affected and bringing a turn around so they will have His blessing. Jehovah-Shalom: God my Peace makes them lie down in green pastures, leading them beside quiet waters and giving them His Peace removing all fears, anxieties, worries, and concerns. “My passion and delight is in your Word, for I love what you say to me! I long for more revelation of your truth, for I love the light of your Word as I meditate on your decrees” (Psalm 119:47–48). JEHOVAH ROHI LORD our Shepherd we ask that You will give us a passion and delight for Your word so that we may be immersed in Your word and know the revelation of Your truth that will set us free and on the path that You have set for each of us. 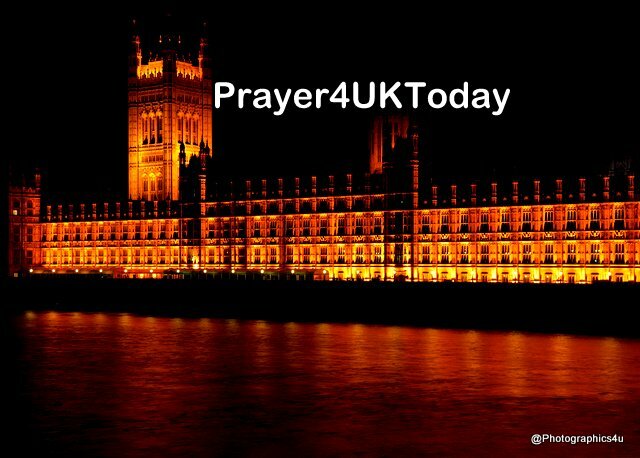 We pray for the revelation of Your truth to Theresa May, her Brexit Team, Michel Barnier and his EU team so that we will be walking in Your truth as we leave the EU. Very specially at this time when the two teams will continue to meet to negotiate the terms of our withdrawal from the EU. We declare according to Your word in Mark 6: 31 “Come with me to a quiet place and get some rest,” this holiday season will be a season of rest, recuperation and restoration for individuals, couples and families. For those who are unable to take time, we release a supernatural season of rest and refreshment, in the Name of Jesus. We declare over Your people, this is a revelation season, and we cry out for the release of dreams and visions, prophetic words, scriptures, and keys to open the doors for the next season, that as people relax, or attend summer camps and conferences, they will hear Your voice with great clarity. From the young to the old, we declare God given shifts and changes will take place. We declare Your people will be freshly aligned, equipped and empowered for the season ahead and Your Presence will rest upon them in great measure. We declare this is the time for all the peoples of Europe, irrespective of nationality, to experience the fullness of God’s purpose, plans and blessing and we declare we trust in His understanding of every issue of resource and protection involved. We cry out for forgiveness over every treaty, convention, covenant, protocol, charter or agreement made on behalf of the United Kingdom, against Your purpose and plan. We specifically lift to you The Single European Act (1986) signed by the United Kingdom guaranteeing the four freedoms; the free movement of goods, capital, services and labour, and all associated Treaties, Policies and Commissions.